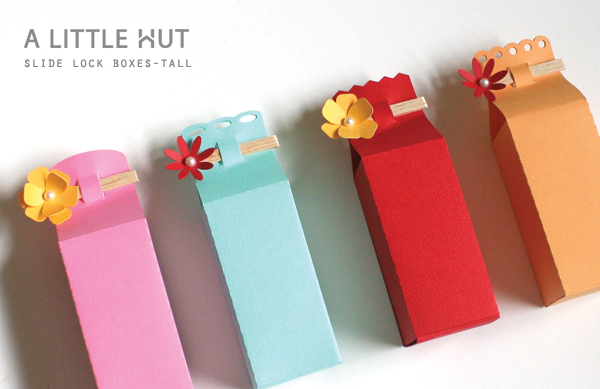 A Little Hut - Patricia Zapata: slide lock boxes - the tall version! slide lock boxes - the tall version! I have a new winner for the FB giveaway that many of you participated in yesterday. Thank you for sharing the crafty projects that you're working on. It was very interesting to see what other types of crafts you like to work on. Aside from paper, I'm with the crocheters! It's so peaceful when you get into a rhythm. The winner of the giveaway is Robin Wyatt! Please get in touch and I'll send you your gift certificate code. Congratulations! 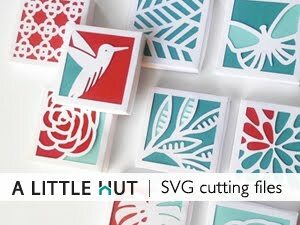 I just checked and I can't believe that I designed the first Slide Lock Boxes three years ago. Where has the time gone? These taller versions came about because I needed to wrap something that was a little longer than the square versions would accommodate. Voilá! Out of all the boxes I've ever made the closure on these has always made them special to me. This time I used flat balsa wood strips as the locking mechanism. But you can use anything that will fit through the slits (just like the different examples I show in the original boxes).